-EIN contributor Harley Payette explores the ridiculous reality that, as Elvis fans, we often have to defend Elvis' astounding musical legacy. Outside of the '50s classics and in some cases just the Sun Sessions, it seems the Elvis fan is always on the defensive in addressing Elvis' catalogue. 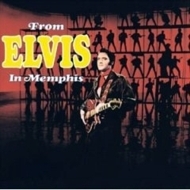 One critic even argued that Elvis' entire legend was based on about 20 minutes of great music. To me, the very idea that you would have to be on the defensive when discussing Elvis' work is like something out of the Bizarro world. 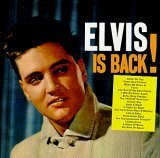 As I and many others have argued Elvis Presley’s musical legacy is most probably the deepest catalogue in all rock and soul. When people go on about Elvis' wasted potential, it makes some sense in terms of the movies but in terms of sheer music this catalogue leaves nothing to be desired. The sheer depth of the quality is quite astounding. Just taking fairly accepted standards you have - The Sun Sessions, the early RCA singles, three of the first four RCA albums including "Elvis Christmas Album" which is generally considered along with Spector's album the definitive statement in rock Christmas albums and probably the biggest selling rock Christmas album of all-time, then you have the assorted gems from the other early RCA records including "Trouble", "Mean Woman Blues", "Baby I Don't Care" etc. 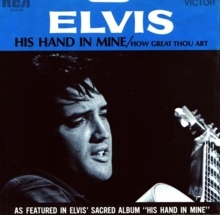 Moving into the 1960s you have "Elvis is Back" and "His Hand In Mine" from 1960, you have those classic early 60s singles that form the backbone of many oldies radio stations, you have the Jerry Reed sessions which midwifed country rock, you have the "How Great Thou Art" album a record that is one of the top selling gospel albums of all-time almost strictly through word of mouth, you have the recordings from the '68 TV show, "From Elvis in Memphis", the Memphis singles, and you have bits and pieces that don't necessarily fit in anywhere else like great album tracks like "Tomorrow is a Long Time" and "Stranger in My Own Home Town" and B-sides like "It Hurts Me". 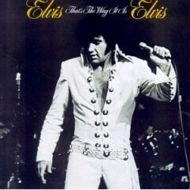 In the 1970s you have "Elvis-That's the Way it Is" an album that Entertainment Weekly gave an "A" rating to in 2000 and has generally received positive reviews since its original negative reception, you have the concept album "Elvis Country", you have the respected gospel album "He Touched Me". Then later you have individual highlights like "Burning Love", "Separate Ways" called by Carr and Farren a classic of its kind, "Hurt", "Promised Land" etc. Then you have Elvis' live documents including his explosive early TV stuff and the Mississippi/Alabama Fair performances. The triumphant return to Vegas and the largely excellent "Feb 1970 On Stage" live album. There is nothing here really that you have to argue about. This is more great music than the Beatles did or the Beach Boys or Michael Jackson or Bo Diddley or Chuck Berry. The only artists to come close to matching it in terms of depth are Ray Charles, Bob Dylan and maybe James Brown. Maybe Bo Diddley or Michael Jackson didn't release as many bad tracks as Elvis did but that is outweighed by the fact that they didn't release nearly so many good ones. The breadth of what's here is also astounding. We all know rock, blues, country, gospel and pop. 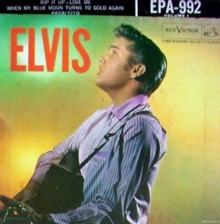 Many consider "From Elvis in Memphis" the definitive blue eyed soul record. There's also Hawaiian and Latin based music, attempts at mock opera, folk. About the only thing that's missing is a serious stab at jazz and pop standards. However, it's pretty clear that this was result of a lack of interests in those areas as opposed to any frustrated ambition. Within the genres he cast a wide net as well. He didn't just record gospel. On the first album he recorded in the group jubilee tradition. On the second album he explored a more traditional hymn sound with a larger line-up musically than he had ever incorporated. On the third album, he explored the sounds of contemporary gospel. In blues, he recorded acoustic Mississippi delta type stuff but also recorded hard urban blues. A ballad could be the ultimate in delicacy as in "Starting Today" or a display of bombast or sometimes both in the same song as on "There's Always Me." Or he would change the stylistic emphasis of his sound. In the 1950s the driving force behind his sound was guitar in the 1960s it was usually saxophone. His stylistic synthesis on many tracks was one of kind and defied genre. Charles and Bobby Darin could keep in terms of the broadness of vision but in terms of a genuine synthesis even they fall a tad short. He also used the ground other performers opened to enhance his artistry. He incorporated autobiographical elements into his music. He recorded a concept album when the gauntlet was thrown down and it was perhaps his most potent album and certainly one of the highlights of the country rock era. He recorded protest music. There are also many one off performances in the canon that sound like nothing else he recorded- these range from "Heartbreak Hotel" to "Softly as I Leave You" or "City By Night" to "I'm Leavin'". There is also a level of consistent innovation. From the Sun sessions that invented rockabilly, to the RCA singles that redefined rock and roll, to the 60s singles that took his synthesis to its apothesis, to the Jerry Reed sessions and the early country rock experiments. He was often breaking either new musical ground either for music as a whole or for himself. He did songs that challenged his vocal mettle. In an uncelebrated episode in the early 1960s he even tried his hand unsuccessfully at songwriting. With no one to encourage him in this pursuit, he felt as if he were overstepping his bounds and that's fair enough. 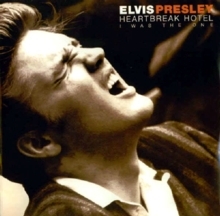 The nerve rattling power of the very peak stuff- "Heartbreak Hotel", "Mystery Train", "Suspicious Minds", "Trying to Get to You" (1968) is unique and undeniable. Dying relatively young there were undoubtedly areas yet to explore. And as in every career there were interesting missed opportunities. And yes, he was frustrated but part of that frustration came from a lack of legitimate challenge, of having covered so much ground in so short a time. Looking over the innovation, the quality, range and depth of the best music you could safely say that Elvis went to his grave as a MUSICIAN with his mission accomplished. - Elvis That's The Way It Is - the original vs the recut. 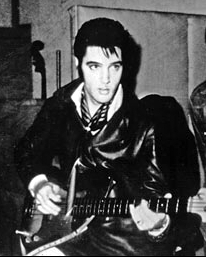 - The Schism Between Elvis' Stage & Studio work.